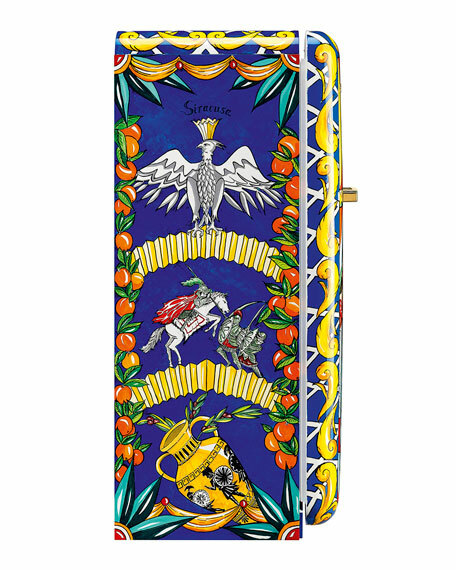 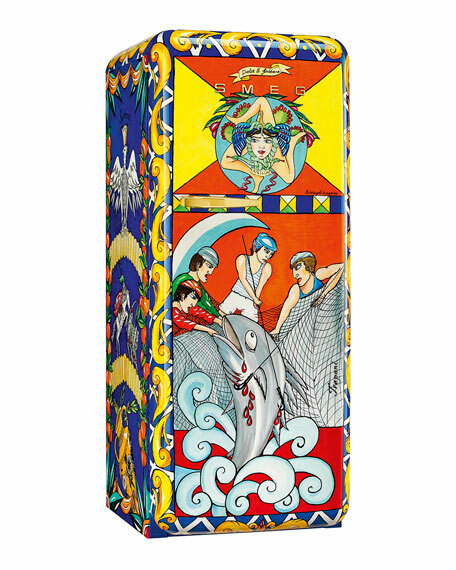 Unique hand-painted refrigerator, produced in-partnership with Dolce & Gabbana. 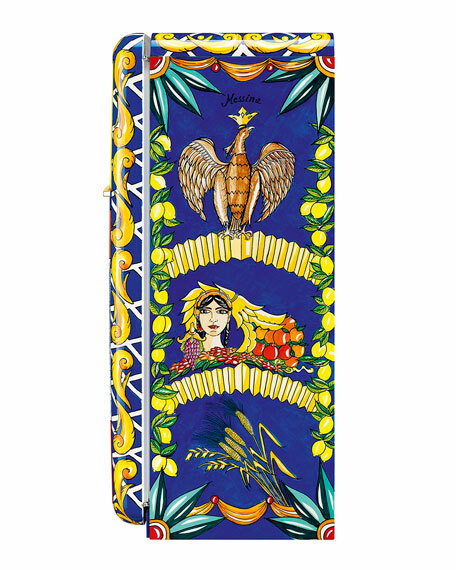 The decorations of this refrigerator are inspired by the form of Sicily itself, more or less triangular, and by the cities that define its three extremities. 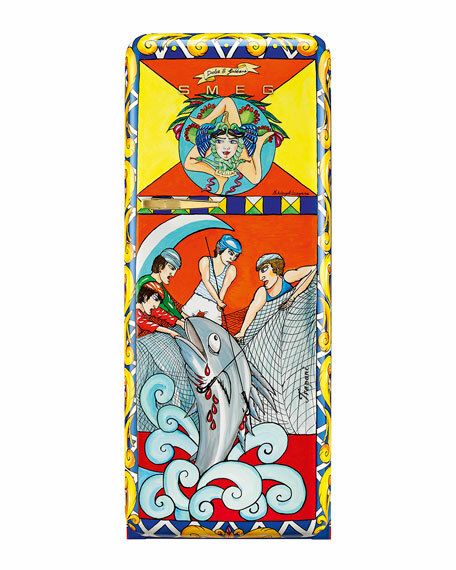 Trapani is represented by a tuna catch in the sea just off the island of Favignana; a battle scene that reinterprets Hellenistic ceramics and an eagle crowned with a crenellated tower both refer to Siracusa, cradle of Greek civilisation on the island; Messina is evoked by the presence of the heraldic banner, painted on both the top and one of the sides. 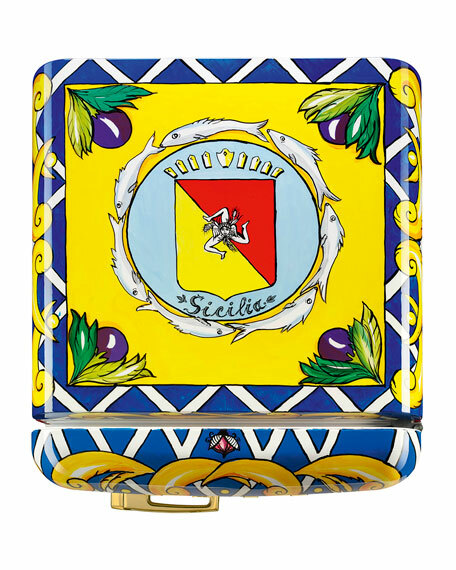 The upper part of the front panel features the trinacria, quintessential symbol of Sicily.